Mr Ratan Jalan was recognised as 100 Most Impactful Healthcare Leaders. The award was conferred to him for his exceptional work in the business model innovation and Patient empowerment. The eminent jury for the award consisted of head of hospitals and Healthcare Business Leaders. For two consecutive years, The Apollo Clinic, an innovative business model based on franchising format, won the Franchisor of the Year Award across all product and service categories. 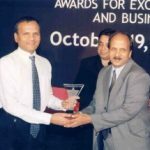 In fact, during 2008 Franchise Awards Function, Ratan Jalan was inducted into Hall of Fame for his pioneering initiatives in the franchising industry, particularly in the healthcare segment. For the path-breaking success of The Apollo Clinic initiative, Ratan Jalan won the coveted S.P. 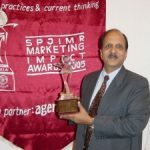 Jain Marketing Impact of the Year Awards 2005 against stiff competition from leading organizations such as Unilever, ITC and Amar Raja Batteries and others. As the name suggests, the award is given to organizations and concepts which achieve remarkable success through high-impact marketing initiatives. The jury comprised of industry leaders and marketing veterans like Harish Bijoor, Dr Gita Piramal and Prof Abraham Koshy from IIM, Ahmedabad.